For those looking for more information on or pictures of Exploits Islands (and I know you’re out there – I can see you in my site stats! 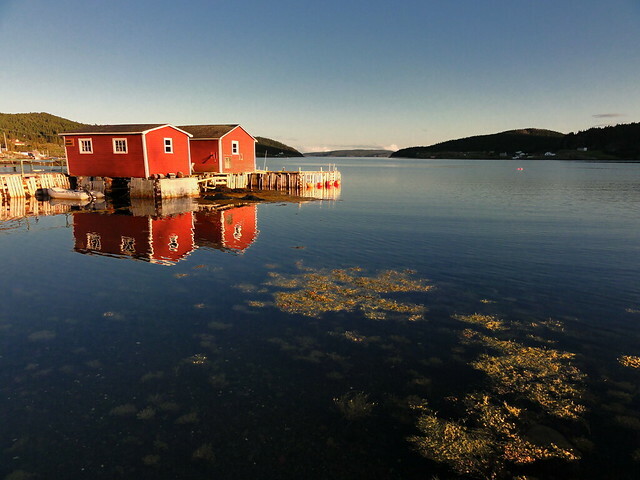 ), follow this link to watch CBC’s Land & Sea Episode on-line (originally aired January 30, 2001). In it, Ed Roche talks about his researches into and paints about Exploits. He’s by no means the first artist to work there (Gerry Squires, Jean Ball and many others have explored the place’s history and scenery) and I’m sure he won’t be the last! This isn’t the first Land & Sea Episode about Exploits. There are at least two more of which I am aware; one is of Richard Wells and his sheep and another shows Kitty Drake and Ivan Wolfrey sharing their respective memories of the place having seen it soon after resettlement and (in Kitty’s case) again years later. Needless to say, I’m looking forward to getting down there again come the summer! 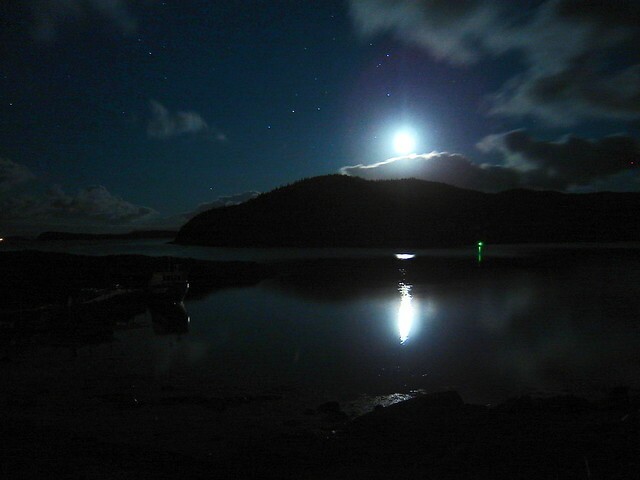 The view from the front porch of our house on a calm summer's night. The green light is a channel marker. My father and step-mother visited Exploits on a couple of occasions 30+ years ago on a boat owned by their friends, the Goodyear family of Grand Falls. They really enjoyed the trips and marvelled at the beauty. 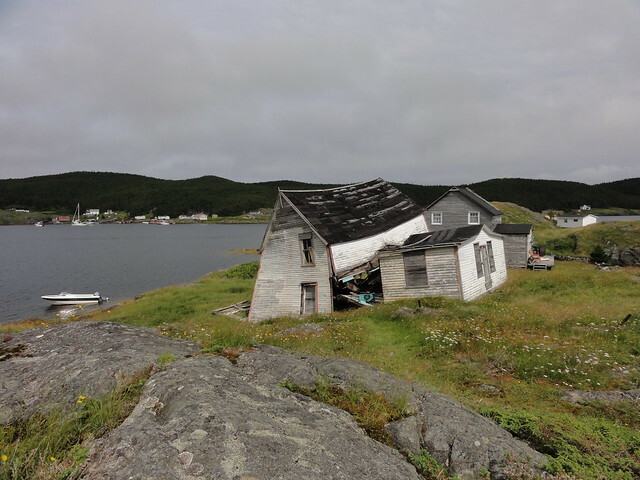 My father lived in Safe Harbour, Bonavista Bay north as a child – yet another community that was re-settled. Dr. Ivan Woolfrey was also a great friend of my Dad’s and came to our house mummering one year. As he left the house, he emptied his pockets of all the things he had “stolen” while he was there – including a can of green peas! 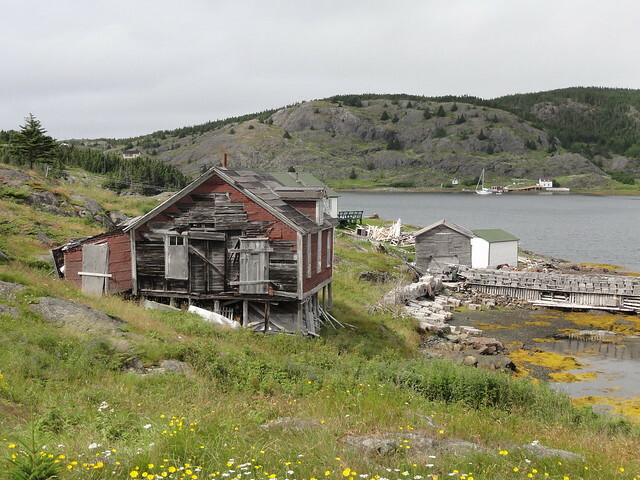 I love seeing pictures of Exploits Island MY dad and his family were born and raised there.I tryed getting there twice but seas to high .There name Milleys.I hope to get there some day.